Money is the biggest cause of stress in America today. According to an American Psychological Association poll, despite the ongoing economic recovery, money worries continue to create too much stress. Nearly three out of four adults reported feeling stressed about money at least some of the time. Financial worries served as a significant source of stress for 64 percent of adults in 2014, ranking higher than three other major sources of stress: work (60 percent), family responsibilities (47 percent), and health concerns (46 percent). The association found that Americans are too stressed for good health and the problem is compounded because stress interferes with clear thinking. 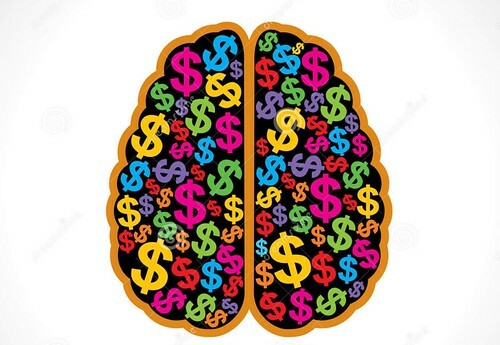 Poor decisions, eroding memory and cognitive difficulties reduce the odds of making good financial and life decisions. According to the Sciencedaily.com article “How stress influences disease” (1), stress leads to inflammation and there is a clear link between stress, reduced decision making and clarity of thought. Inflammation, in turn is a pivotal player in such diverse brain conditions as Alzheimer’s disease, multiple sclerosis, Parkinson’s disease and even autism. This problem grew worse in 2014 because of inflation. When money became worth less at the grocery store there was an increase in American stress. Americans noticed that they were paying more for almost everything. They started to cut back even though the economy was rising. The economic growth was helping top earners but not the middle class and poor. They changed their spending habits, tried to do more local errands in one day so they could cut down on trips. They tried to consolidate things as higher costs for food and gas hit their budgets. Americans began to sacrificed things, like not doing an ice cream runs during the week with the kids. At the grocery store, meat, dairy and fruit prices were all up substantially. People are even paying more for lattes at their local coffee shops. Inflation is raising its ugly head again so fight fire with fire. Watch for Inflation. 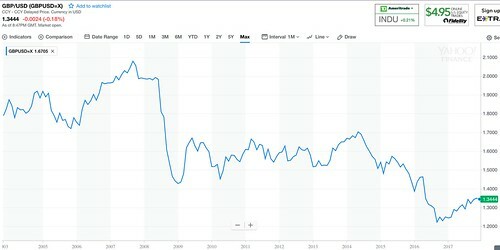 Monitor the US dollar index. 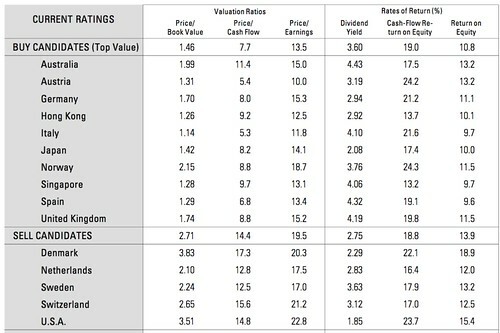 Spot good value investments that are worth more due to an overly strong US dollar. Rare, long term economic cycles can help us see distortions and future trends such as the over bought US dollar. 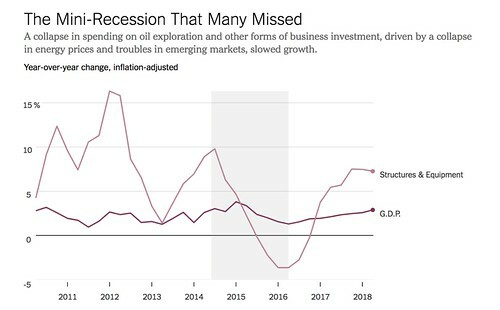 The chart below from the September 29, 2018 New York Times article, “The Mini-Recession That Many Missed” (2) shows how the 2014 inflation caused the US dollar to rise in 2015. The Federal Reserve, seeing the United States economy looking healthy, started ending its era of ultra-easy monetary policy. 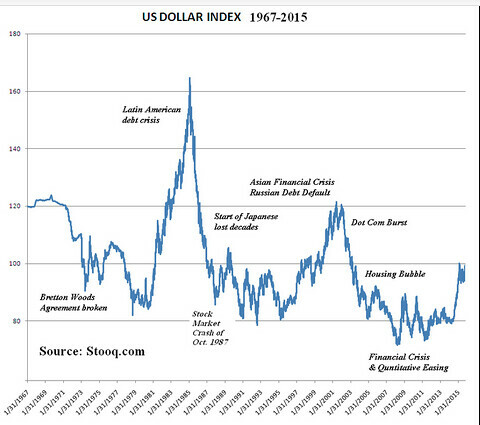 We can see the 2014 rise in the US dollar in this chart of a US dollar. Index Futures ETF. Since then, when the greenback gained strength in 2015, the index has been hovering around 100. When the dollar index weakens… as it will, investors will flow out of US markets into markets abroad. 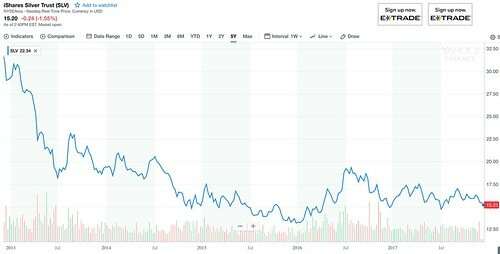 This creates double profit for non dollar share investors. The inflow of investments pushes share prices up. Higher non dollar currency parities make shares worth more in US dollars. Invest in good value non dollar markets. 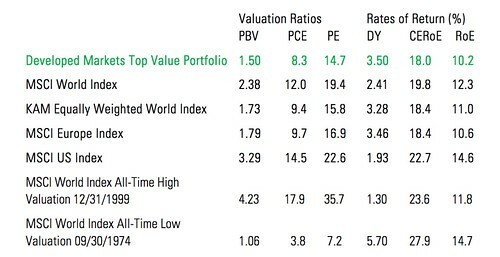 This is easy, because long term studies suggest that all top value equity markets right now, are non dollar stock markets. This may be a long term investment. The US dollar has remained buoyant far longer than most traders have expected. We have no way to know when forces will shift and non US markets will rise faster than US markets nor when the six index currencies will rise against the US dollar. What we do know is history powerfully suggests that distortions of this strength do eventually adjust and when they do, the correction normally takes place quickly. Money worries cause stress. Stress causes inflammation. Inflation reduces our ability to think right and intelligently invest. Beat back this biggest cause of stress with good value investing.